This year's batch of contenders all chronicle timely (and, perhaps, timeless) stories of people facing down issues with no easy answer. Each of this year’s five contenders for the Oscar Best Documentary (Short Subject) packs a timely issue at its heart: immigration, women’s health, health care, racism, and the spread of fascist ideology. Most of them find a personal edge for their stories, too, rooting out heroes (a plucky group of Indian entrepreneurs, empathetic American hospice workers) and villains (a pack of narrow-minded British teens, governmental policies of all stripes) in the pursuit of both truth and a good story. Curiously, in a mostly well-made group of would-be winners, it’s the nominee that is the least outwardly personal that is the most successful, because its content doesn’t chronicle the story of just one person or group, instead offering a chilling indictment of an entire country at one pivotal moment in history. In a field of urgent films, it’s the oldest story that packs the biggest punch, if only because it comes with such a necessary warning: keep telling these stories, or nothing will ever change. Here’s a ranking of the category with some speculation on the frontrunners. 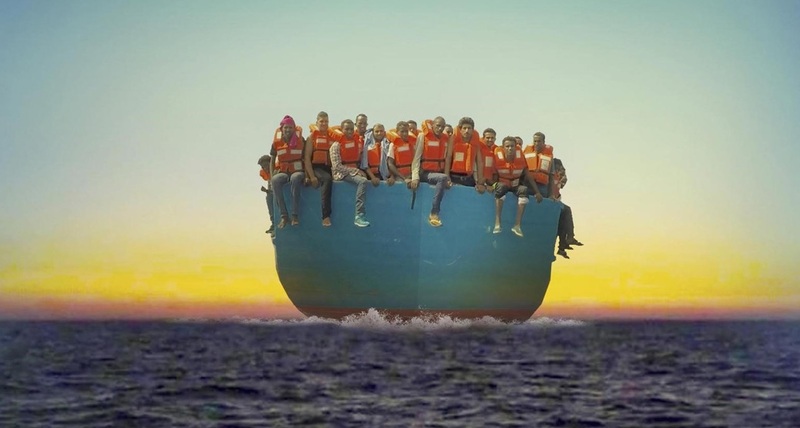 Filmmaker Skye Fitzgerald follows a German non-profit group dedicated to helping refugees fleeing Libya by undergoing the treacherous Mediterranean sea crossing. It’s a story many people have likely heard about in big, broad strokes, but few have ever journeyed inside, and while Fitzgerald’s access is admirable, the final result is less inspiring. From the start, the sense of disconnection is profound — where are we? who are we with? what’s happening? — but while that could speak to the emotions of the very people attempting to reach a better life through terrifying means, it seems less intentional and more the product of unfocused filmmaking. Fitzgerald does eventually hone in on his principal characters and the wrenching mission they’ve set themselves on, and the film’s unflinching chronicle of the tragedies that are part and parcel of the story at hand are necessary and urgent. And yet there’s something lacking in the entire endeavor, one that perhaps lends itself better to a feature-length treatment of the situation. At just 34 minutes, it’s hard not to feel like a tourist in a story of global devastation and catastrophe. Two-time Oscar winner Rob Epstein reteams with his long-time directing partner Jeffrey Friedman (“Common Threads,” “Paragraph 175,” “The Celluloid Closet,” “Howl”) for a startlingly intimate and deeply empathetic look at the ever-evolving concept of palliative care. Yet Epstein and Friedman never attempt to slap such a label on the film — it seems distasteful to call such a film something as reductive as “a film about hospice care,” it’s more than that — instead focusing their film on a pair of institutions that are simply doing the work that is required to help those who are approaching the end of their lives. Going inside San Francisco’s Zen Hospice Project and UCSF’s Palliative Care Program, the film provides a sensitive treatment of what palliative care and hospice treatment actually are and do, and how to fight back against the sense that utilizing either is tantamount to giving up. Early on, one patient — herself a former nurse — balks at the word “hospice,” making clear that it’s not something she wants to experience when it comes time for her to die. It’s not a judgmental moment, and it works on two key levels: it highlights the misunderstandings that surround hospice care, and it turns the focus on the need for everyone to be in control of their end-of-life options. Epstein and Friedman introduce their audience to a number of patients who are all facing similar issues: What do they want to do when the end comes? And how do you make those wishes clear? Many of the experiences are heartbreaking to the point of shock — they are right there in hospital rooms, in hospice spaces, during conversations with families as they make what has to be the most personal choice of their lives — but the filmmakers present them in ways that are both plain-spoken and respectful. Not every story gets the same screen time, however, an odd choice in a film that so clearly strives for balance, and one that lends a certain amount of disconnect by its end, when the end credits are preceded by updates on each patient who appeared in the film, a few of which likely had more to offer the project. The only bonafide crowd-pleaser in the bunch — and the only nomination that offers anything in the way of joy — Rayka Zehtabchi’s rousing “Period. End of Sentence.” is stellar on its own, but it also serves as an interesting contrast to something like “Lifeboat.” There’s never any question of time, place, or story, and while it’s effective as a short, it’s easy to imagine it translating to a feature-length documentary or even a narrative spinoff. Set in a small village outside Delhi, the doc opens with a simple question, posed to some of the community’s residents: what do you know about menstruation? Men don’t know, younger girls titter and giggle, and women deliver stories about how their periods irrevocably changed their lives. The divide isn’t just amusing, it’s also indicative of a wider cultural problem. As one man tells it, menstruation — the actual act, and even talking about it — is “the biggest taboo,” and Zehtabchi’s film chronicles what happens when fed-up women stop acting as if something perfectly natural is something to be feared. Sponsored by The Pad Project, which aims to help girls in third world countries get access to sanitary pads, “Period. End of Sentence.” follows a group of enterprising women who don’t just want to have pads, they also want to make them and sell them to their fellow villagers, a two-pronged idea that speaks to the possibility of positive change. The overall effect is one that’s both joyous and propulsive, following the women as they first learn how to make the pads, all the way up to their quest to get them in local markets (a plan made all the harder by the scads of men who eye them and their goods). It’s a feel-good story, but it’s also one that serves a greater purpose, reminding viewers that it’s still possible to identify an injustice and work to change it through good intentions and good deeds. “That could have been me.” That’s the simple idea that changed Cornelius Walker’s life in 2000. 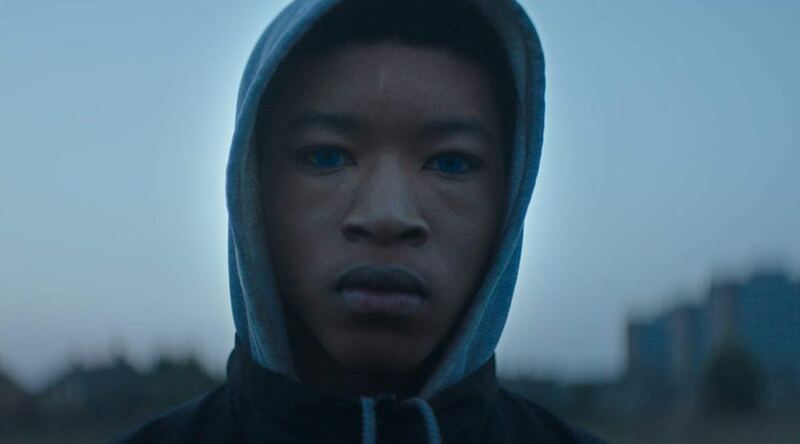 Shaken by the horrifying death of 10-year-old Damilola Taylor in their own London neighborhood — a Nigerian immigrant, just like the Walkers — Cornelius’ mom uproots the family and moves to Essex in an attempt to escape the tensions of the city. It doesn’t work. What Cornelius finds there are even more racist attitudes, spearheaded by a group of local toughs who take a shine to him from day one. His reaction: to change every part of his life and appearance to fit in with them, not fight them. Ed Perkins’ short ably combines the talking head doc — the real Cornelius is the only one interviewed, and as he tells his story, he’s revealed to be engaging, open, and charismatic — with well-shot recreations of Cornelius’ extraordinary and unsettling experiences, using non-actors in the same locations in which the original events took place. The combination is both strong and fluid, and the storytelling works, even as it rockets towards a sudden conclusion that’s both frustrating and daring. But it’s really Cornelius himself that makes the documentary so engaging (perhaps to a fault) with Perkins wisely focusing on a subject still grappling with what happened, how it happened, and the lengths he went to in a bid to simply survive. “I just made friends with monsters,” he says at the end of the film, offering only a shrug and a slightly dazed expression, no other explanation of what happened after all of that, pushing viewers to stew on a story with no easy answers or outs. The best of the bunch is also the most radically different: an entirely archival offering from three-time Oscar nominee Marshall Curry, one that provides a discomfiting look inside an event plenty of people want to forget. February 20, 1939: World War II wasn’t just on the horizon, it was a fated certainty, and, as Europe was collapsing into disarray and Adolf Hitler’s troops were in the process of building concentration camps, New York City was hosting a “pro-American rally” that was essentially a Nazi ballyhoo in the heart of the city. “A Night at the Garden” is also the shortest of the nominees, and the one that adds the least amount of commentary. It’s not necessary. Instead, Curry opts to unspool meticulously gathered footage of the event — much of it never seen before, even as it seems terribly familiar — set against a propulsive and unnerving James Baxter score. 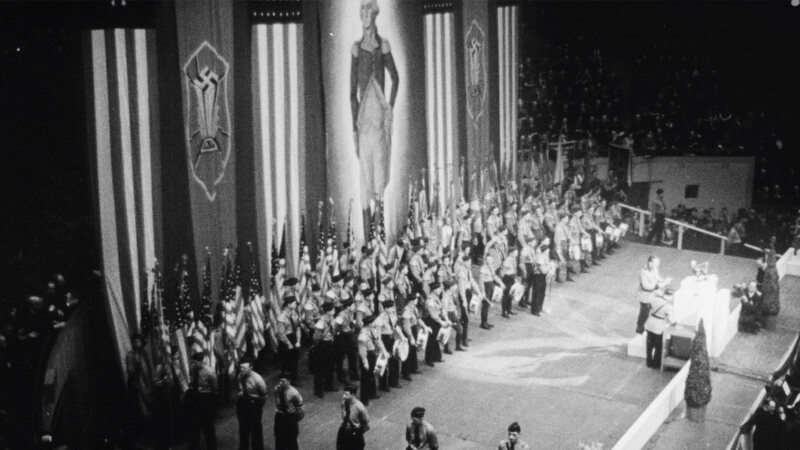 As thousands of Americans gather at Madison Square Garden, eager to cheer on Nazism, straight up fascist ideology packaged under an “America-ness!” veneer, the tension ramps up to unbearable levels. It’s just seven minutes long, but it’s riveting and revolting from the start, and when Curry finally unspools a slim bit of information at its end, it does nothing to dampen the horror. The 2019 Oscar Nominated Short Films will be in select theaters on February 10, with an OnDemand release to follow on February 19. Find out where you can see them right here.